If you're traveling to Lenno and you don't know a whole lot about it, you don't have to worry — we can give you a hand! To help you find your feet, Lenno is located 35 miles (56 kilometers) north of the significant city of Milan. This area of Lake Como has a population of some 2,000 people. 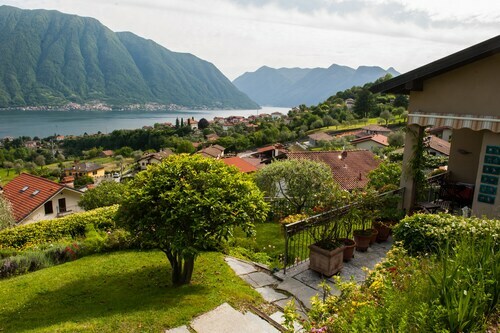 Get the lowest price on your journey to Lenno by combining your airfare and accommodation bookings. You can also choose from upwards of 400 partner airlines and 665,000 places to stay. Looking for a stress-free travel experience? Our Customer 1st Guarantee offers the security of 24/7 personal assistance on all services. If you somehow notice an even cheaper price on another website, we will return the difference^. We will not charge you a hidden fee for rescheduling or canceling your travel reservations. And so long as you get in quick, most accommodations won't charge you either^. Researched Lenno, picked out your vacation outfits but haven't yet locked in your accommodations? Travelocity can help you take care of that. Choose from our 85 properties and start packing your bags! It's time for your vacation! Why not treat yourself to luxury? If you want service fit for royalty and soft, silky sheets, lock in a room at the Grand Hotel Tremezzo (Via Regina 8) or the Grand Hotel Villa Serbelloni (Via Roma 1). 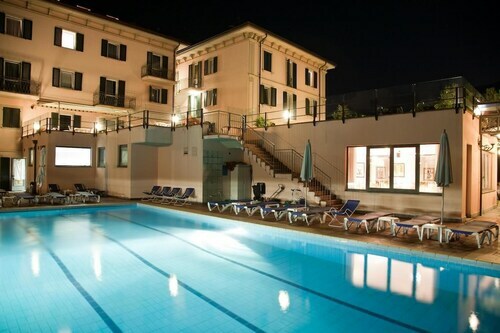 The Apartments and Rooms Il Vicolo (Via Sant Abbondio 13) and the Como Vita - Villa Gioiosa (Via Regina 39) are some economical options if you'd prefer to spend your money on activities and experiences. Where do you fly into for Lenno? Got your bags packed and your passport in your hand? Great — jump on the flight to Malpensa International Airport (MXP). Once the wheels hit the tarmac, you'll be just 35 miles (56 kilometers) to the southwest from the middle of Lenno. Can I rent a car in Lenno? While the usual tourist destinations in Lenno can be nice to see, why not step away for a while and explore completely new sights with a rental car via Travelocity? Villa del Balbianello and Villa Carlotta are some fabulous places that all serious sightseers should make time to get to. Plan a route and spend a day stopping by each one. Venturing out on the fairways is a great way to stretch your legs and have a ball. Test your skills with a friendly round at Menaggio and Cadenabbia Golf Club. Like some more ideas? It's said that history is the greatest teacher. Step back into the past and enjoy a lesson at Sacro Monte di Ossuccio. And there's more. Would you like to add some deeper meaning to your travels? Go on a pilgrimage to San Martino Church. No matter what your beliefs, it's a great place to observe and educate yourself about the local religion. If you've discovered the offerings of Lenno already, don't pack up and go just yet. You've actually got renowned attractions right under your nose! The Sacred Mountain of the Rosary draws tourists from all continents of the globe. Viggiu, about 16 miles (26 kilometers) from Lenno, is a convenient base when stopping by this unmissable attraction. 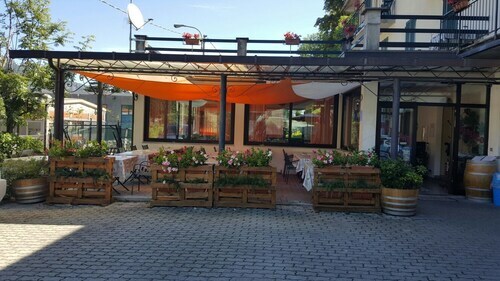 Situated in Tremezzina, this hotel is within 3 mi (5 km) of Villa del Balbianello, Sacro Monte di Ossuccio, and Villa Carlotta. Bellagio Port and Intelvi Valley are also within 6 mi (10 km). Situated on a lake, this apartment building is within 3 mi (5 km) of Villa del Balbianello, Sacro Monte di Ossuccio, and Villa Carlotta. Bellagio Port and Intelvi Valley are also within 6 mi (10 km). Situated in Tremezzina, this apartment building is within 1 mi (2 km) of Sacro Monte di Ossuccio and Villa del Balbianello. Villa Carlotta is 2.6 mi (4.2 km) away. Situated in Tremezzina, this villa is within 1 mi (2 km) of Sacro Monte di Ossuccio and Villa del Balbianello. Villa Carlotta is 2.9 mi (4.7 km) away. Fully Renovated Lovely Apartment, Top Central Location! Sunny Terrace! Parking! 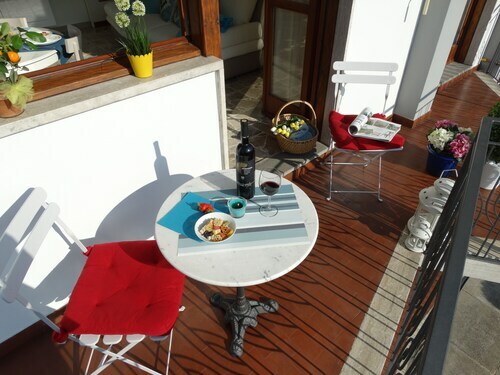 This family-friendly Tremezzina apartment building is located in the mountains, within 1 mi (2 km) of Sacro Monte di Ossuccio and Villa del Balbianello. Villa Carlotta is 2.4 mi (3.9 km) away. Situated near the beach, this romantic apartment building is 0.4 mi (0.6 km) from Villa del Balbianello and 2.5 mi (4 km) from Villa Carlotta. Argegno Cable Car to Pigra and Cathedral of Argegno are also within 6 mi (10 km). 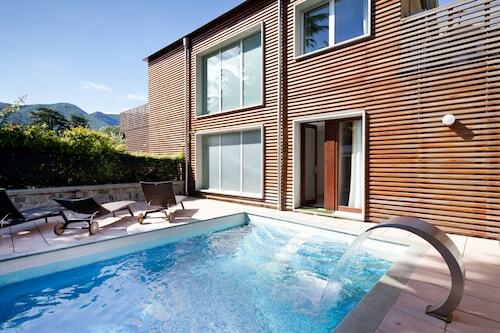 Situated in Tremezzina, this property is 0.4 mi (0.7 km) from Villa del Balbianello and 2.6 mi (4.3 km) from Villa Carlotta. Argegno Cable Car to Pigra and Cathedral of Argegno are also within 6 mi (10 km). Situated on the waterfront, this apartment building is within 3 mi (5 km) of Villa del Balbianello, Sacro Monte di Ossuccio, and Villa Carlotta. Bellagio Port and Intelvi Valley are also within 6 mi (10 km).